“Make the music the way you like,” says Amber Grimbergen, when asked about Hinds’ music philosophy. In the past four years, the band has gone through a lot, from learning how to play the guitar to painful heartbreaks and touring Europe and America including the festivals like Glastonbury and SXSW. Considering their homeland is Spain, it’s somewhat uncommon that the band gain traction abroad. However, Ana Perrote, Carlotta Cosials, Ade Martin and Amber are living proof that everything is possible if you believe in what you do. 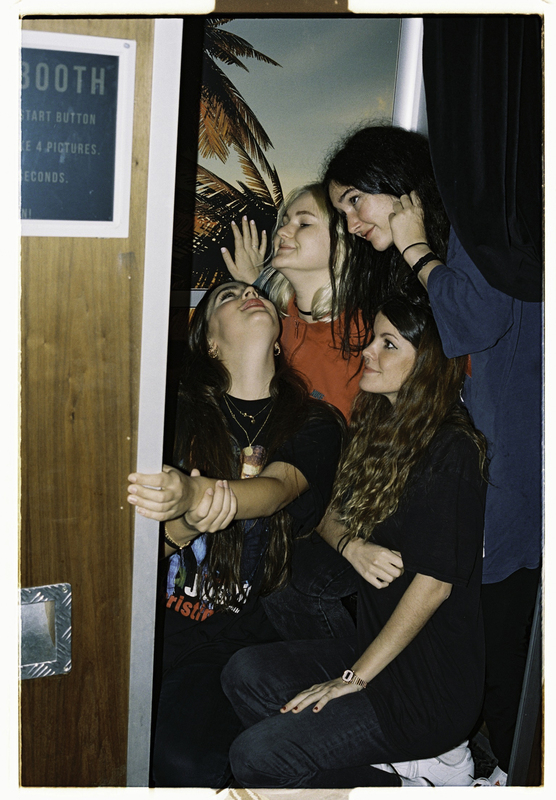 Hinds were initially named “Deers”, though they had to change it after the threat of legal action from a similarly named band. While recording under the name Deers, the band has released two 7-inch recordings with just four songs. After the name change, the girl released LP Leave Me Alone in 2016 and a few singles, including the newest “Holograma”. 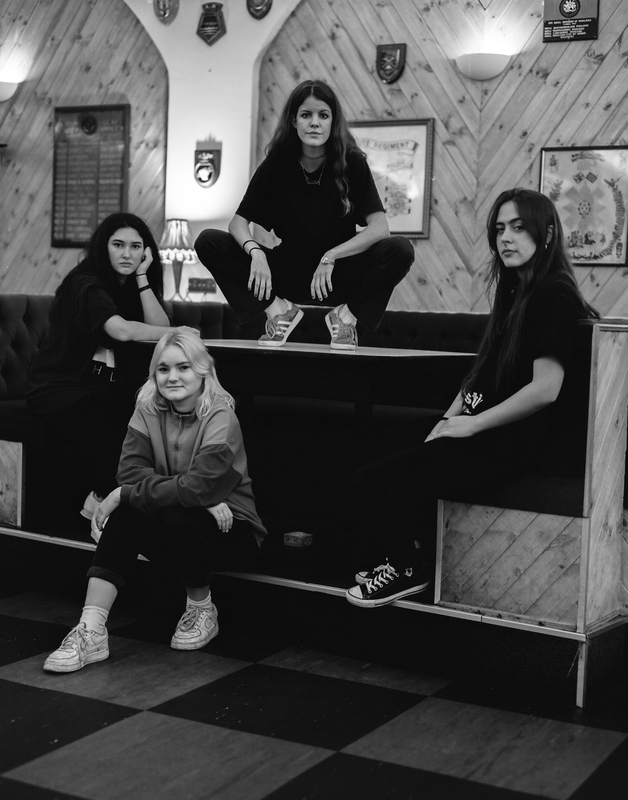 Hinds started as a duo but turned ultimately formed into a four-piece. “We were still called Deers when we transformed into a four-piece: Ade was Ana and Carlota’s best friend, and I was found via Facebook and joined a little over two years ago, ” says Amber. 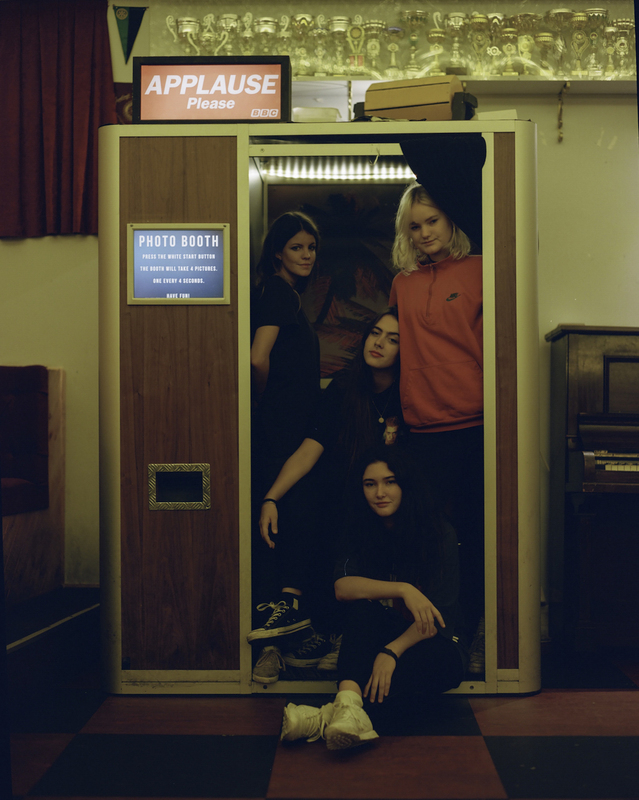 Hinds songs are fun, and an all-girl approach allows them to be themselves, as they exhibit in their homemade music videos. Amber: We love to watch live shows! We learn a lot about seeing other bands, the way they work and do things. We also try to stay as long as we can at festivals when play them and see as many bands as we can. Amber: I’ve always been surrounded by music. Both of my parents are professional musicians too, and I started going to music schools since I was six years old. Amber: I like to take pics of whatever and believe it or not I like to travel around when I’m not on tour! (laughs). What song are you playing on repeat now? Amber: Lately, I literally can’t stop playing “Sorry” from Liss. Ade: “Baby, Baby” by The Lemon Twigs. Amber: I’m probably the clumsiest person on this planet. There many good bands/artists in Spain. Who should be on our radar? Amber: Yes! There’re so many good bands here: The Parrots, Los Nastys, El Ultimo Vecino, Novedades Carminha, Sensenra, Alien Tango, Baywaves. What is the explanation behind the new single “Holograma”? Amber: It’s a cover of one of the bands mentioned in the last question. It’s originally from Los Nastys, it’s one of the first songs Ana and Carlotta used to cover, so we decided to record it as a little Homenaje. What advice do you have for the other young musicians out there trying to make it in the music industry? Amber: Keep working and take it as a serious job since the first day. If your music were a drink, what drink would it be? You guys have been on tour for so long. What’s the best and the worst part about being on tour? Amber: The best part I think is getting to know awesome people anywhere you go, but it’s also kinda the worst part. It’s hard having friends all around the world and barely see them. What’s the wildest thing that has happened so far? Amber: Ha! It’s hard to think of one thing. Our tour manager’s appendix exploded, and we had a terrible time as you can imagine (laughs). What’s been your favourite show that you’ve played? 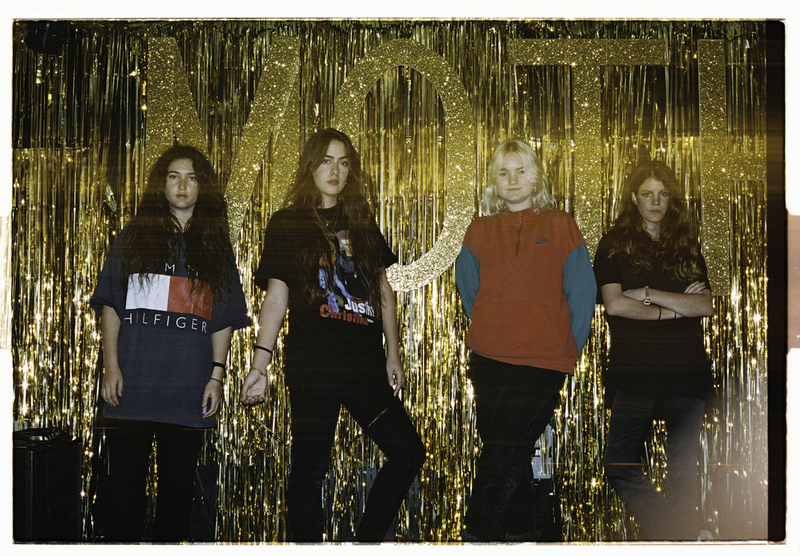 Amber: In April we played a huge birthday show in Madrid celebrating two years of Hinds and Twin Peaks joined us. Everything went just perfect that night! What are some of your favourite cities to play? Amber: London has always treated us very well, but Berlin and New York are excellent places to play too. If you could hear one of your songs being covered by any band/musician, who would you choose to cover it? What was the inspiration behind “Bamboo”? Amber: Ana and Carlota wrote it one night they were very mad with their respective boyfriends (laughs). Believe it or not, it’s an angry song. The video for ” Warts” is fascinating and different from the others. How did it come about? Amber: The song is a true story of a close friend, so we kinda thought about how to make a “short film” telling the story (laughs). We worked with an excellent director too called Pedro Martin-Calero. What would you like to accomplish in this new year? Amber: Well, we may put some new stuff out in 2017!